We got the two most famous Argentinian’s in the world in this story. 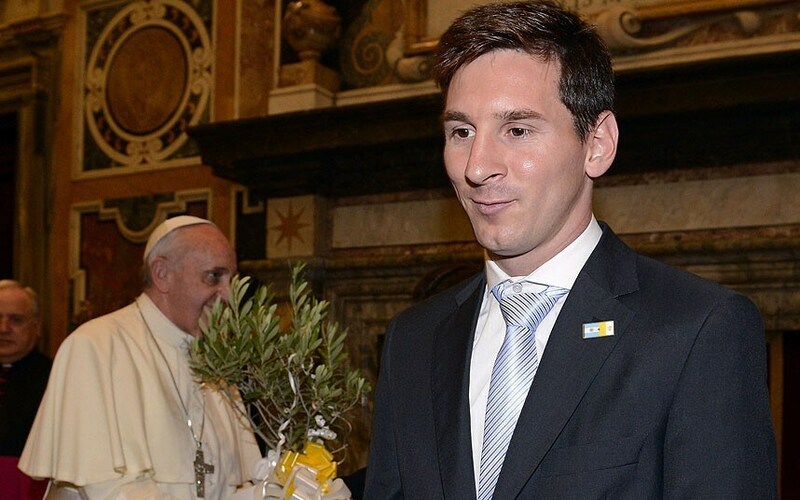 Pope Francis (the most influential religious man in the world) versus Lionel Messi who is a Soccer great. but according to Pope Francis please do not compare Lionel Messi to the real God because Messi is good but Messi.. he isn’t God. Well, we have a debate on our hands here. Let’s go to the highlight tape and make a conclusion is Messi a God or nah? Ok well, he’s really damn good. But I am going to have to agree with Pope Francis, Messi is great and he might be a Soccer God but he is not God. God is the GOAT I agree with Pope Francis, have you seen the world? The Universe? Yeah God made that, until Messi makes a universe I think the debate is over.